Chester Gas - Gas Central Heating Installers. 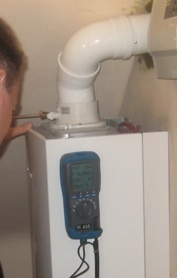 Central heating installation is a specialist task, and needs to be planned and carried out properly. It is likely to be a big investment, and so choose your installer with care. From a full system, to a new boiler or replacement radiators, you can trust Chester Gas to help you. We always aim to give a top quality, value for money service, but never compromise on quality. Our prices include full system cleaning and flushing, and follow the boiler manufacturer's commissioning process. Beware of central heating installers that cut corners in the installation and commissioning process - it will end up costing you money in the long run. Browse our site to find out all you need to know about gas central heating, including information about central heating types, costs and installation of new gas heating, as well as options to improve or repair existing gas central heating systems. We only install SEDBUK 'A' rated efficient boilers, with timers and thermostatic controls to ensure that your new system will not cost you more to run than it has to. "Cheap" central heating systems can work out to be more expensive, it they are poorly designed, inefficient and wasteful. We only install quality systems specifically designed for your house, for a good price. "Every year around 15 people die from Carbon Monoxide poisoning caused by gas appliances and flues that have not been properly installed, maintained, or that are poorly ventilated"
"ALL gas consumers are advised by the government to have appliances checked for safety at least every 12 months by a Gas Safe registered engineer"